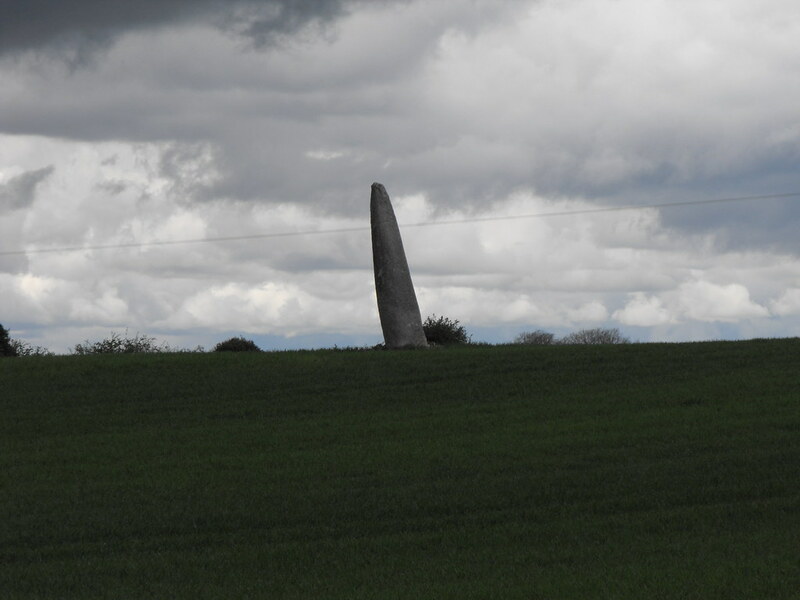 The Standing Stone: Craddockstown West, Standing Stone, Co. Kildare. 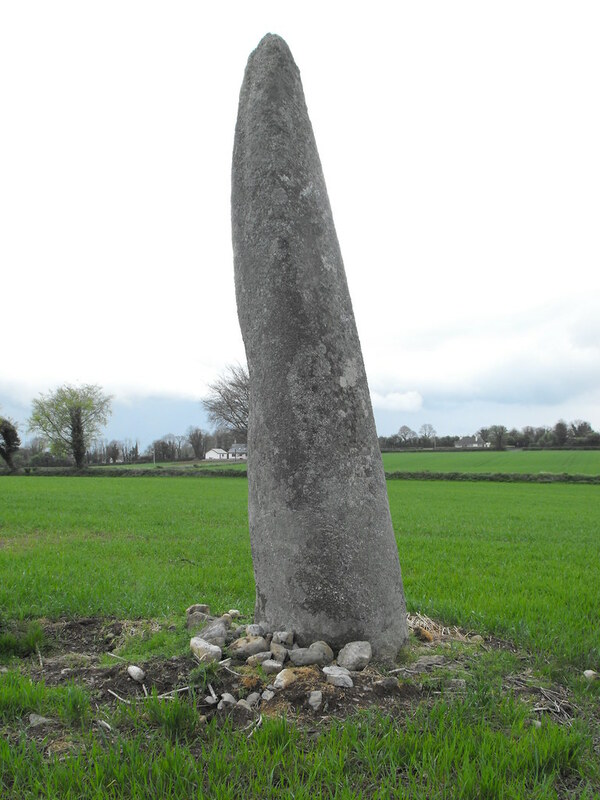 Craddockstown West, Standing Stone, Co. Kildare. 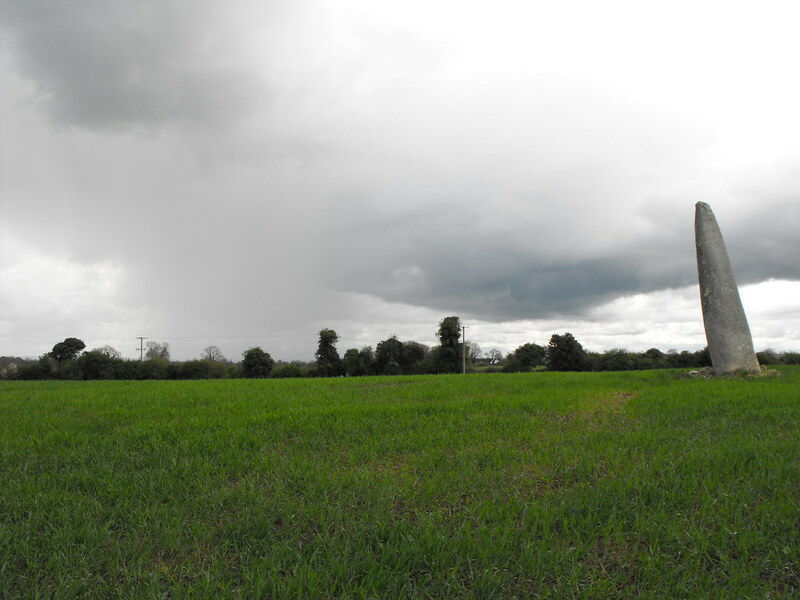 Location – Opposite Punchestown racecourse in a large crop field. 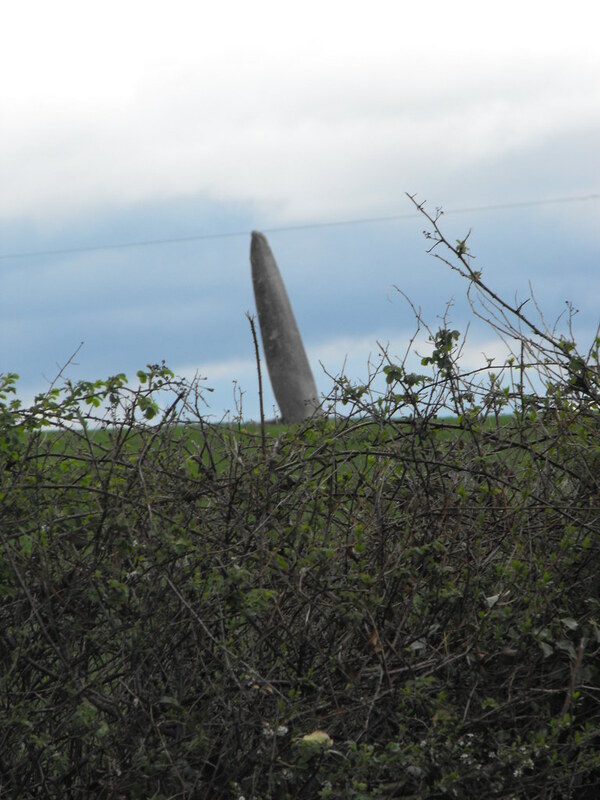 It is only about half a mile from the Long Stone. They would be visible from each other if it wasn’t for the trees. I do have GPS co-ordinates for this site that I will post up soon. I left them in a book that I don’t have access to at the moment! 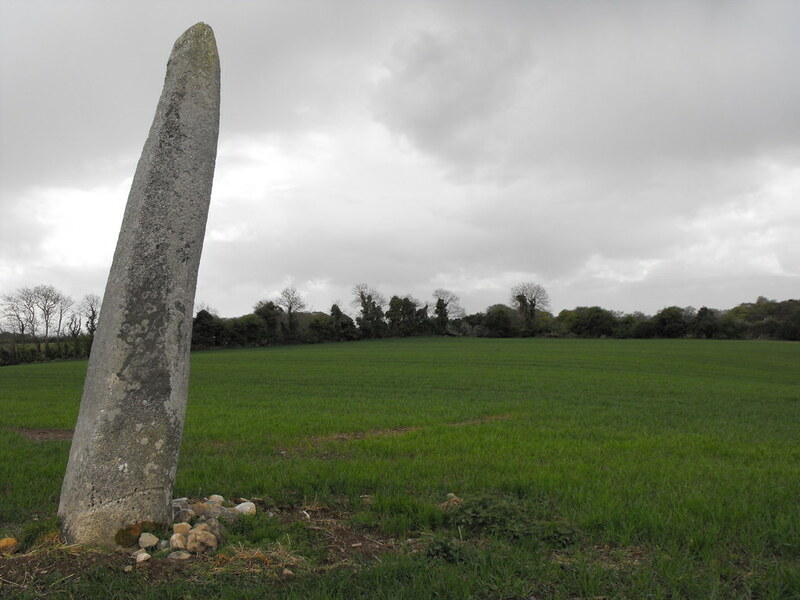 Description and History – This stone is somewhat smaller than its sister stone (The Long Stone) but still stands to a height of 4m. This stone is somewhat leaning now unfortunately but yet I prefer it to the Long Stone as there is no ugly wooden fence built around. 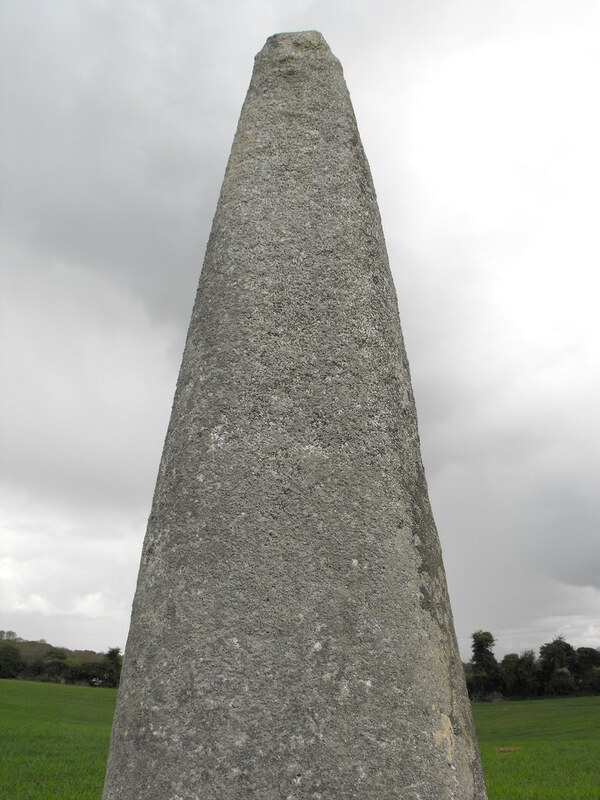 It is amazing that this stone has been left alone considering its closeness to the tallest stone in Ireland. It just goes to show that if there isn’t something special about it, it gets ignored. However, I think this stone is particularly special. It is dotted with bits of quartz and the grain of the stone played tricks on my mind and I kept thinking I could see shapes on the stone out of the corner of my mind. This stone is well worth the visit. 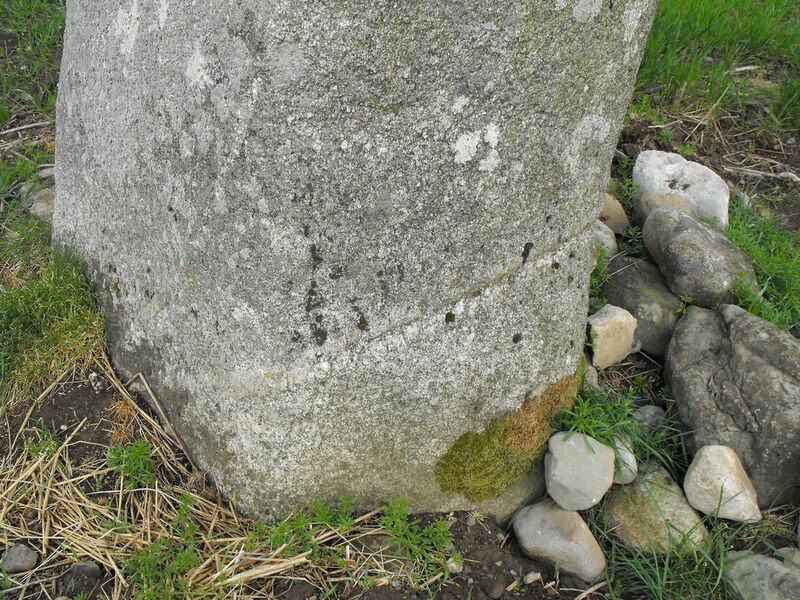 Difficulty – Like the Long Stone this can be tricky to get to as there is no obvious entrance to the field. There is a small bank next to the road, free from bushes that I climbed over and walked up the steady hill to the stone. This is a crop field so don’t damage crops and go either when the field is not being used or take care to walk along the tractor marks. Glimpsing the stone over the hedge. As you approach the stone it sits on the crest of the hill. The stone is full of interesting bits of quartz. Just try and tell me that this isn't a phallic symbol!